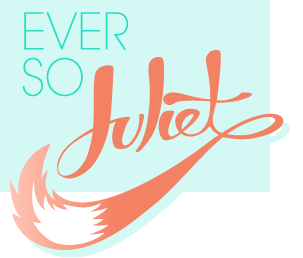 Ever So Juliet | Edinburgh lifestyle blog: Nanowrimo - my top tips! Hello! So it's almost November, which means it's time for one of my favourite things in the year - National Novel Writing Month (nanowrimo)! You can read more on how nanowrimo works here, but it's pretty simple. You (the budding author) write a 50,000 word novel over 30 days. If you win, you get to feel great about yourself, and you have a first draft to do with as you will. If you lose, then you have still written something (and can feel good for giving it a shot). I'm taking part for the fourth year in a row, so I thought it would be fun to film a video with my top tips for getting to 50,000 words (and enjoying the process!). The challenge starts on November 1st so you have two days to prepare yourself, think of an idea and get ready to write. Let me know if you're taking part & we'll be nano pals. Good luck with your novel, though! Some great tips there. I'd definitely recommend giving it a go, it's really loads of fun (and if your book turns out to be rubbish, that is totally okay!). You are absolutely adorable oh my gosh. I loved watching this video. Just listening was fun, but your tips are all wonderful. I also really like that notebook! I enjoyed going into Paperchase when I was in England and I keep wishing we had them around here, but alas, we do not. I've been pretty on track with my word count so far, but I want to find some time this week to get ahead a little, just in case I get busy, because last year I fell behind and there was just no coming back from it.